Trucker shortage still an issue? For some time now, many people in the industry have heard a lot about the shortage of truckers available to freight companies and major retailers nationwide. After all, with demand for e-commerce and other goods climbing ever higher in this strong national economy, it often doesn't feel as though there are enough qualified drivers to meet demand. However, new analysis from the U.S. Bureau of Labor Statistics suggests that many of the assumptions made about the driver shortage might be overblown. Among those issues are the levels of driver turnover seen in the industry in recent years, as truckers may have developed a recent reputation for leaving the industry, but that usually only happens when they deal with lower pay and difficult conditions. Companies have already started responding to these trends, by and large, such as by increasing pay for even entry-level truckers and helping to ensure they can sleep in their own beds more frequently. In addition, it's worth noting that the only segment of the trucking industry where these problems are particularly common is for long-haul drivers, and these seem to make up between just 16 percent and 25 percent of the sector's drivers at any given time. Of course, while industry-wide data can certainly give some good courses of action for firms to pursue, it's worth remembering that every freight company is different. That, in turn, means that while there may only be a real shortage of long-distance truckers, the impact can be significant, according to Fortune. For instance, Procter and Gamble - which makes products ranging from detergent to diapers - recently reported that its shipping costs rose 25 percent last year. Likewise, many McDonald's franchisees are now getting squeezed by higher shipping costs, while also abiding by stable, low prices set at the fast food chain's corporate headquarters, the report said. In both cases, those companies do not have the flexibility to run their own freight lines like big-box retailers such as Walmart do. With all that in mind, it's worth noting that industry organizations still consider the driver shortage - to whatever extent it exists - a major issue, according to the Capital Press. When the American Trucking Associations first tracked it in 2005, the shortfall came to about 20,000, and that number had roughly tripled by the end of 2018 (though complete data isn't yet available). 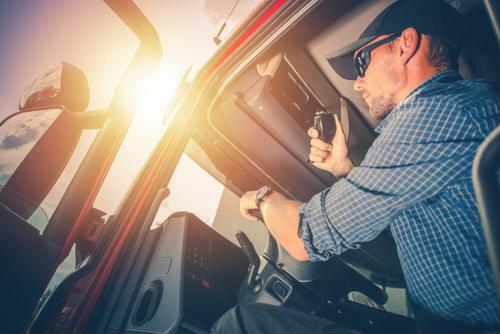 Moreover, even today's newest truckers aren't exactly as young as they once were; the ATA estimates the average new driver is 30 years old these days, and in years past it was much lower than that. "If this was only about pay, it would be easy to solve," Bob Costello, the ATA's chief economist and senior vice president, told the publication. "It's more than that. Companies are getting the message." The more trucking businesses can do to make sure their drivers are not only getting better pay and stronger benefits, but also more flexibility and perks around their work, the better off they're likely to be going forward. That's especially true as the driver shortage, such as it is, continues to grow.